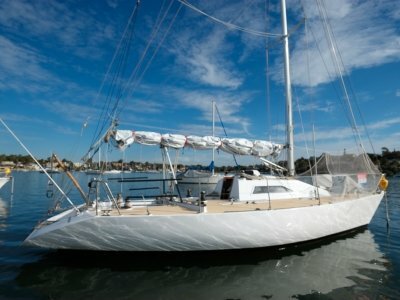 Excellent 1980 Peter Cole designed Nantucket 31 now for sale. Nantucket 31s are excellent performers and work wonderfully as family cruisers with good headroom and wide beam for length. 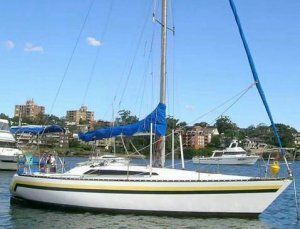 The original Peter Cole Nantucket won the World Half Ton Cup Series in the late 1970s and Nimrod is the 1980 production version of that yacht built in Adelaide by Comprador Yachts. 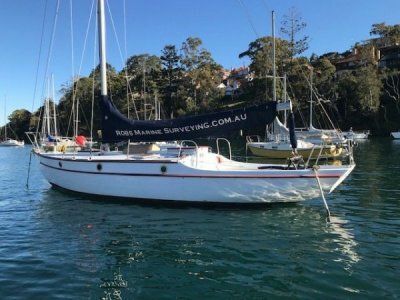 She is in excellent condition and has good creature comforts like electric head and gas stove and oven, as well as good sailing aids like autopilot, lazyjacks and furling headsail. She has been well looked after by her owner. 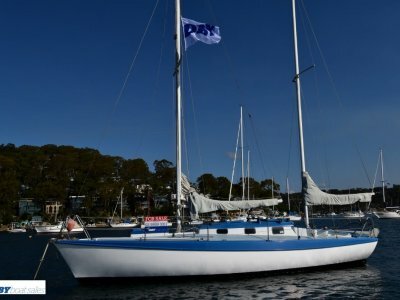 Nimrod was slipped and new rigging by Joe Walsh Rigging in 2016. Low hours on the Bukh engine. 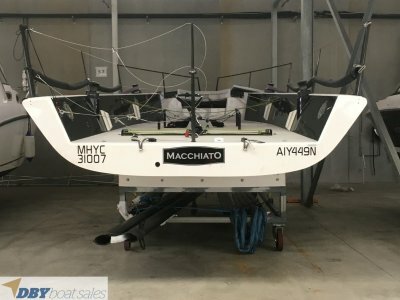 She is a great entry level or second yacht for those looking for a terrific cruiser with racing pedigree and a go anywhere build quality. Galley Notes : Tap has electric cold water pump, set for gas bottles to be stored aft in cockpit with two shut off valves. One at bottles and other beside sink. Stove : Roden gas cooker 2 burner, grill and oven. Entertainment and Appliances Notes : Kenwood CDE radio player. Anchor / Winch : Q 351B CQR 7 1 Danforth stern anchor, stainless steel boarding ladder, a variety of fenders. Deck Gear : Arco 46 St self tailing 4 Barlow 24,1 Barlow 20,1 Barlow 16. Bloakc cleat sd and tracks. Mast/Rigging : Alloy mast and boom, new Joe Walsh stainless steel rig 2016. Sail Inventory : Self furling genoa. Fully battened main with lazyjacks. Electrics : Interior lighting LD fluoro, all wiring checked 2013,2 electric water pumps for shower, basin and sink. Electronics Navigation : Course Master 85i with linear drive Raymarine St40 instruments. Safety Gear : Horseshoe life ring, man overboard recovery line, flares and horn. Covers : Boom cover and new bimini cover cockpit. Remarks : Solar panel with BP PL20 solar regulator, binnacle compass, vdo clock and barometer. Slipped June 2016.